Cool! 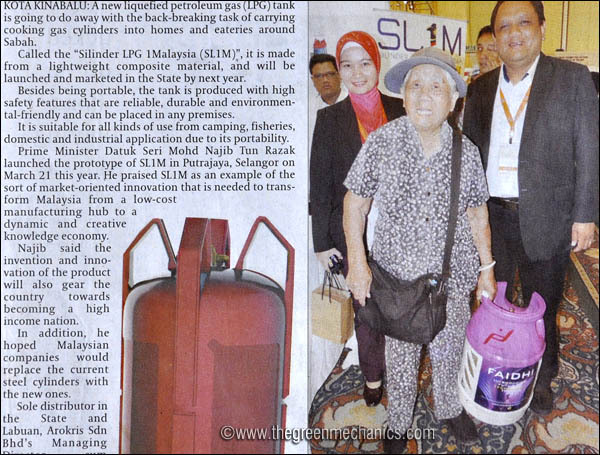 Malaysia will become the first country in Asia to produce composite Liquefied Petroleum Gas (LPG) cylinder. 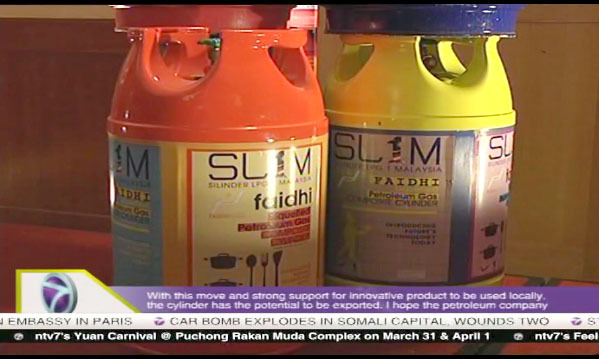 Called the Silinder LPG 1Malaysia or SL1M, the cylinder is lighter at 4.7kg when empty, and cheaper. Because it is made of lightweight composite material, it will be very light (although 'very' can be misleading at times) and children/housewives can conveniently bring them up to, say, an apartment on the 2nd floor. I understand there are many variations in weight but the latest that we heard is the 4.7kg tare weight. At launching the press were told of 7kg and 10kg variants. To be made available in Sabah in March 2013, the sole distributor Arokris Sdn Bhd is expecting a first batch of about 30,000 SL1M cylinders to be marketed in the state. The bottling will be done at the company's plant near Kota Kinabalu. 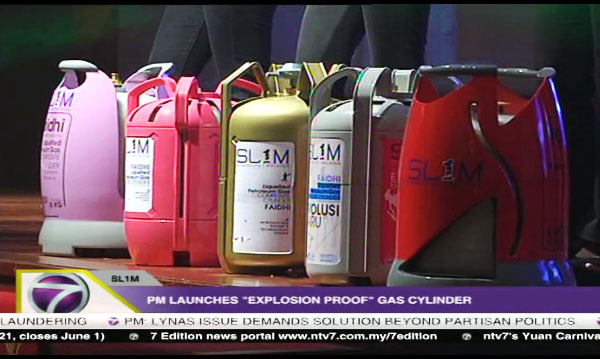 The 4.7kg variant when filled with LPG would weight about 11kg. The safety features are recognised and verified by the international standard safety certification. The cylinders will also be embedded with smart card making them traceable anywhere in the world. TheGreenMechanics: This in not exactly a new invention as similar products have been used in the developed nations. 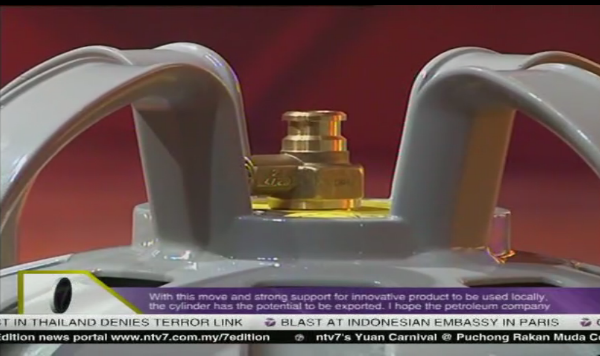 But the innovation and value added features makes this an interesting consumer product. Credit must be given when it is due. This would be suitable for many activities such as camping, fishing, farmers staying overnight at their barns as well as domestic and industrial use. Sources: Berita Harian 21/3/2012, 1Malaysia.com portal and Daily Express 2/10/2012. This new form of more safer and efficient to use LPG will really be a bang to every Asian out there. Most of us are looking for such convenient thing like this and now it's here.